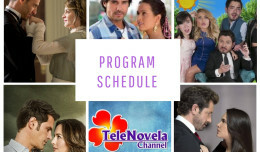 The Two Sides of Ana: Episode 65 | TeleNovela Channel - Bringing you closer to lifes drama. Humberto advises Vicente not to tell Rafael or the police of what Ignacio did against the Escudero family. Meantime, Graciela asks German to take Ana out of prison while Humberto threatens Ana that he will accuse Graciela for being her accomplice. Wendy overhears Vania and Aurora as they talk about Ignacio and how Aurora interchanged Ignacio with Humberto’s dead son. Rafael agrees to marry Irene.